Are you certain that the key that you hold to your new rented apartment is the only one there is? What if the occupants before you have a duplicate key that you don't know about? Are you willing to risk your safety and that of your things based on an assumption that there is only one key, the one that you have? Anytime you move into a new property, be it your home or office, the first thing you do is change locks on the doors. While it is a good practice, you can cut down the cost and hassle of changing locks by simply rekeying them. 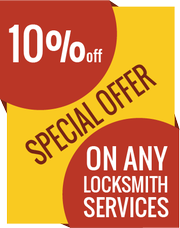 Little Village Locksmith Store is an expert at rekey service in San Jose, CA and will be happy to assist you if you need this service. When you seek Little Village Locksmith Store’s services for lock rekeying, our experts arrive at your doorstep and analyze the locks. If they are in perfect condition, our experts will undo the locks and remove the inside mechanism of pins or tumblers. Now these locks will be refitted with new combination that operates with new set of keys, rendering the old ones unusable. 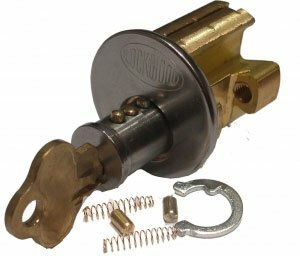 Even though it looks like an old lock on the outside, it is a completely different one on the inside. Rekeying locks are a highly specialized process and must be handled only by experts. There are plenty of DIY videos out there that give you the confidence of handling the rekey process yourself. However, be informed that if the locks are not fitted properly, you stand exposed to a danger of being violated and your locks can be easily broken into. Moreover, there is always a risk of damaging the entire lock. Rather than trying to attempt this on your own, call a professional like Little Village Locksmith Store who can rekey your locks perfectly. Our clients often call us for eviction service support, especially when their property has been broken into. If you need an urgent rekey of locks, Little Village Locksmith Store will be happy to send their trained professionals, 24/7. Looking for rekey locks service in San Jose, CA, Little Village Locksmith Store can be reached 24/7 at 408-876-6055.